Bradford City is a club with a long history, their best performance in the highest domestic league was in 1911 with a fifth position. The same year the club won its only FA Cup title. Over the years, three nicknames have been associated with the club: The Bantams, The Paraders and The Citizens. 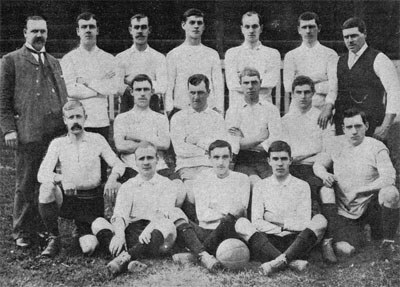 Bradford City AFC squad in 1903. Bradford City originates from the Manningham Rugby Football Club and was established in 1903 as Bradford AFC.